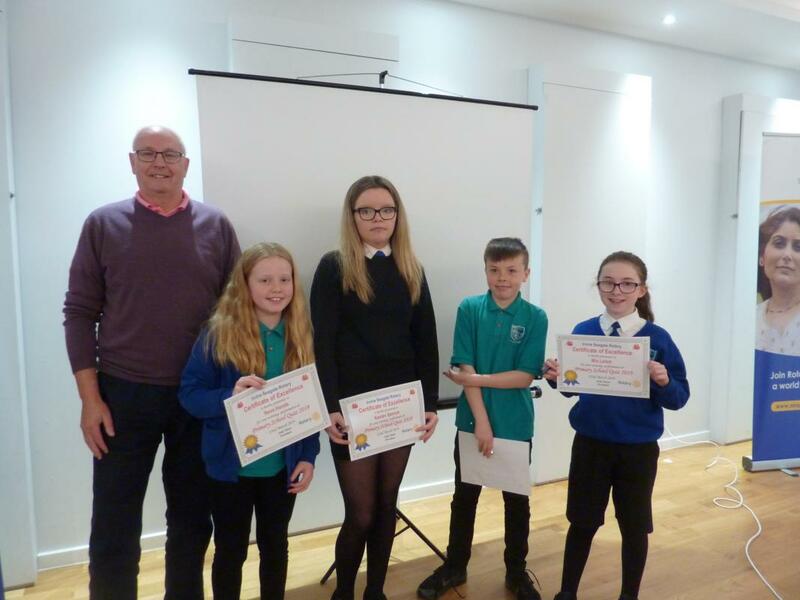 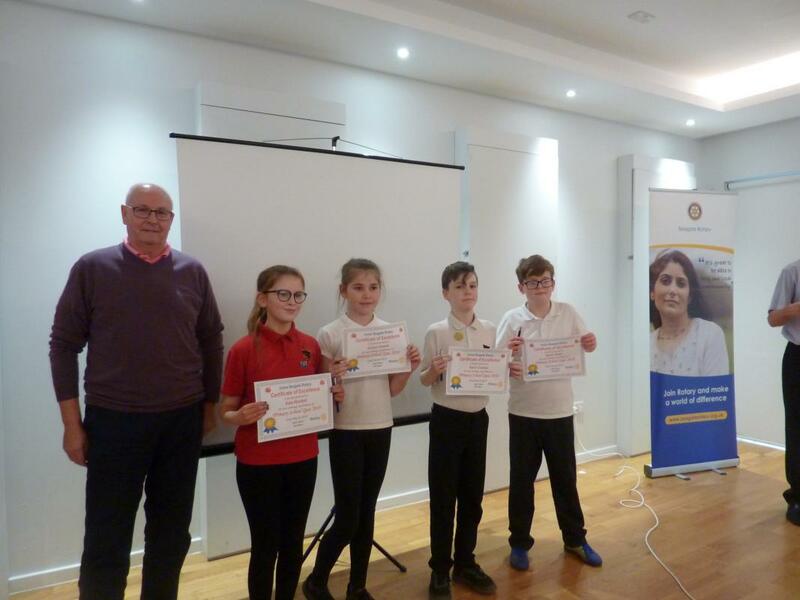 On Friday 22nd March, teams from eight local primary schools (Annick, Dreghorn, Elderbank, Glebe, Lawthorn, St John Ogilvie , St Mark’s and Woodlands) took part in the Rotary Primary School Quiz organised by Seagate Rotary Club. 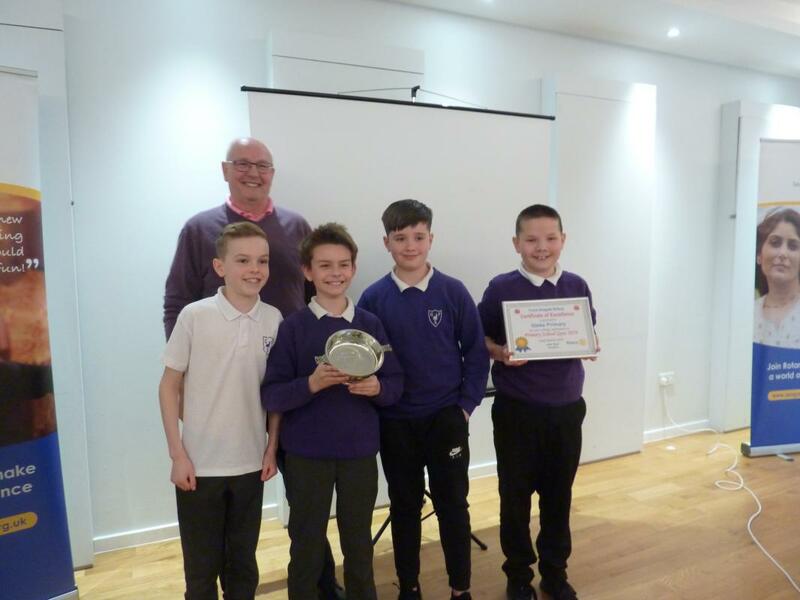 This year’s competition was held at Fullarton Community Hub and in a closely fought contest Glebe Primary emerged as the winners from Annick Primary. 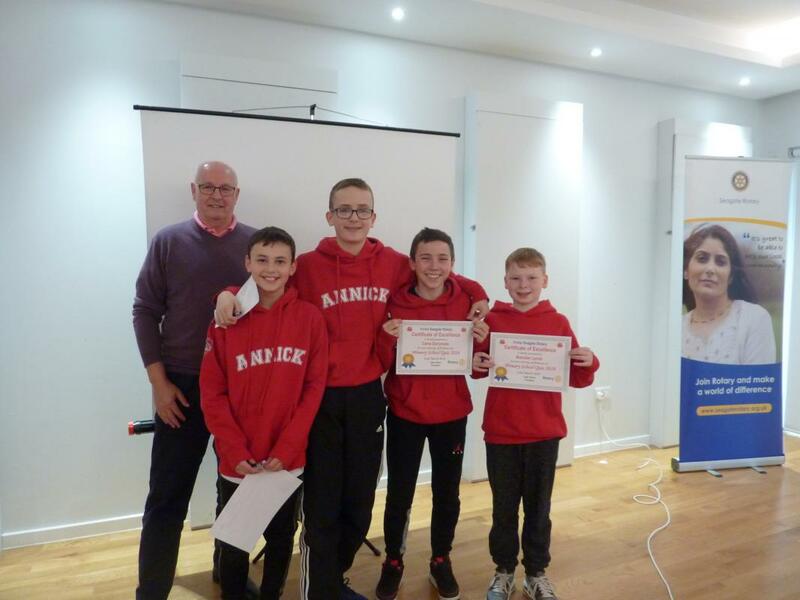 The Quiz is aimed at Primary 7 pupils who compete in teams of four. 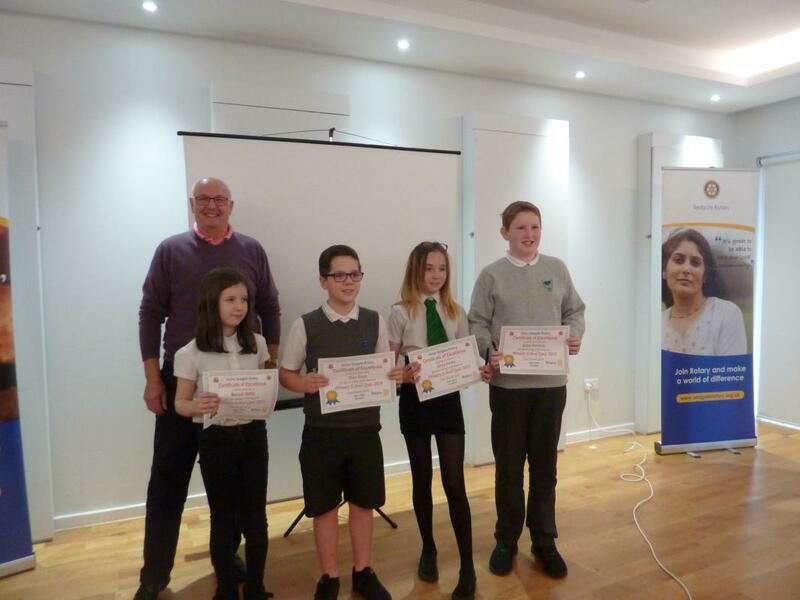 There are six rounds of questions covering General Knowledge and a variety of other topics. 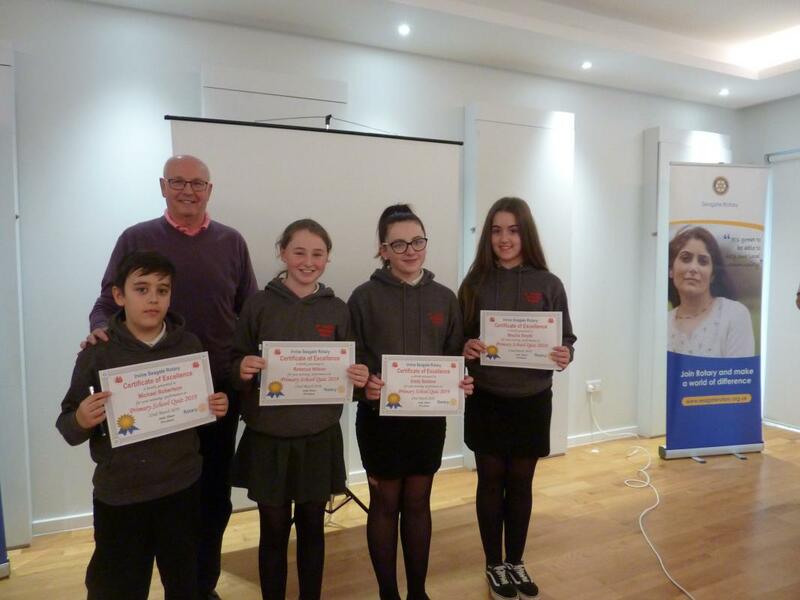 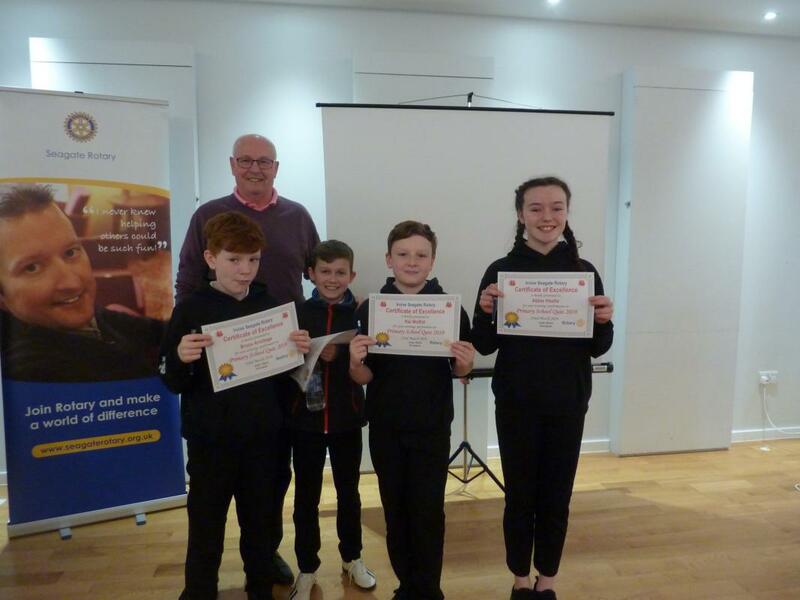 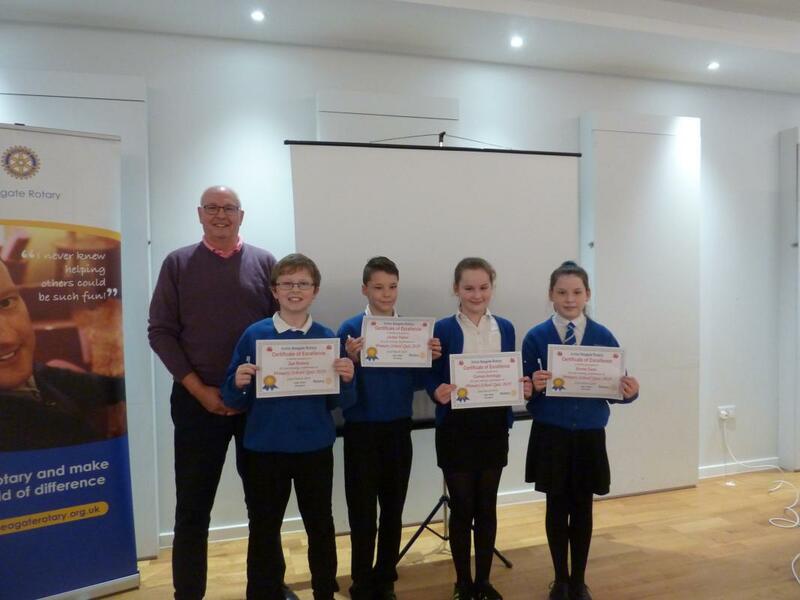 Glebe's winning team will now represent Irvine in the West of Scotland Rotary District Final to be held on Tuesday 21st May at Pollokshaws Burgh Hall in Glasgow.